Aurora's safety standards include double bagged bean filling and lock-washer eyes. 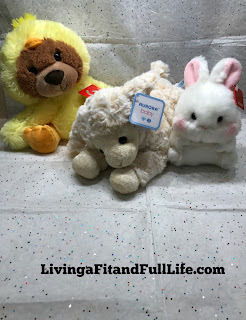 Aurora World's plush toys make the perfect cuddly Easter basket additions! As a mom of 4 I know one thing all of my kids seem to love and that's plush toys, especially from Aurora World. Aurora World's plush toys are some of the softest around and with a wide variety you'll surely find something that's perfect for everyone. Aurora World's YooHoo & Friends are absolutely adorable and with their signature oversized glittery eyes kids will absolutely love them! 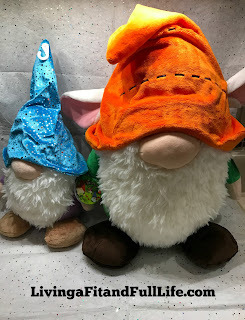 Aurora World's The Gnomlins are super soft and cuddly and oh so adorable. My 9 year old loves The Gnomlins and says their perfect for taking naps with. 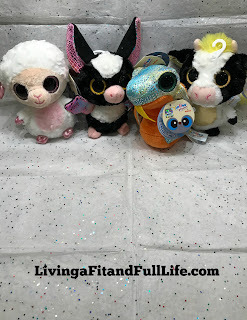 Another favorite in our house is Aurora World's Musical Sweet Cream Lamb because it plays Plays "Jesus Loves Me" when wound up and is incredibly soft. Aurora World's Lil Benny Wanna Be Chick Plush looks like a bear dressed up as a chick and would be a terrific gift for kids. Aurora World's plush toys are some of the finest plush toys around that kids of all ages will adore!